When any of our patients at Gustafson Morningstar Dentistry in Royal Oak MI get mouth sores, we tell them to be careful in their food choices, and to make some changes if necessary. By following these tips, you can avoid the discomfort of eating and help to increase the speed of healing. 2. Keep your meals bland for a while. 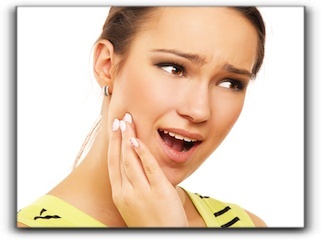 It’s no fun, but watch out for overly spicy, tart, salty or acidic foods while you have a mouth sore. 3. Also, keep it cool. Only eat meals served at room temperature or chilled. 4. Use a straw so that whatever you are drinking can bypass the mouth sore altogether. 5. Try to moisten dry foods. You can add sauces, dressings, and gravies to your meals. We hope that these suggestions will help you the next time you suffer from a mouth sore. At Gustafson Morningstar Dentistry in Royal Oak MI, our services include general and cosmetic dentistry. Schedule an appointment today.